Show you care and send a bear! 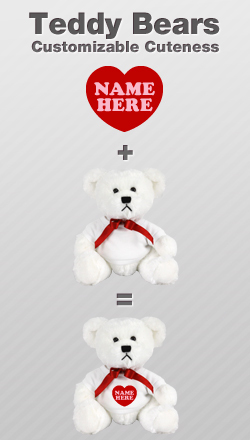 This unBEARably cute customizable Teddy Bear is one of our best sellers and popular with all ages. This little guy makes a perfect package for soldiers, children away from home or anyone you miss dearly. Oh, and don't forget Valentine's Day!